DAVID LE/Staff photo. 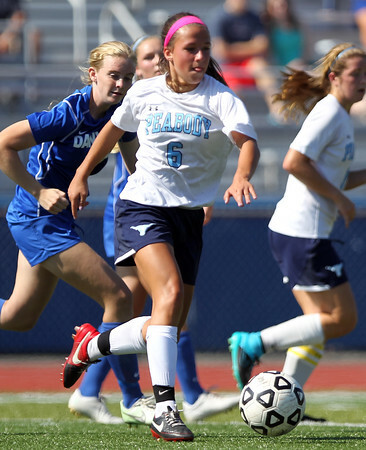 Peabody midfielder Emily Nelson carries the ball upfield against Danvers. 9/19/15.